This is an internal form of martial arts and chi kung discipline that originated in AD 960 from founder Chen-His-I. Master David Chan is one of the foremost internal arts master in the Philippines and has descended from the famous Grand Master Chan Yik Yan. Junfeng Li (Master Li) was Ed Sevilla’s coach in the Wushu Federation. 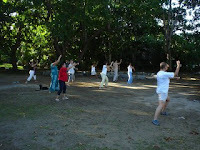 Master Li is presently the dean of qigong at the Academy of Oriental Medicine at Austin, in Texas. 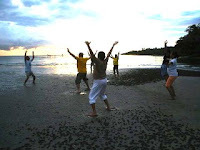 Leading qigong masters have described him as a movement genius and extraordinarily gifted teacher, able to impart the essence of qigong to beginners and advanced students of all ages and backgrounds. Li is best known as having been the head coach of the world-renowned Beijing Wushu (Martial Arts) Team and the National Wushu Team of the People's Republic of China for over 15 years. 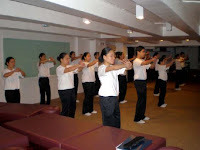 GrandMaster Choa Kok Sui has promoted the learning of Pranic Healing by lecturing and passing along these techniques to students worldwide. 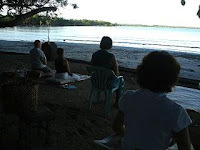 Over the past several years he has written Miracles through Pranic Healing, Advanced Pranic Healing, Pranic Crystal Healing, Pranic Psychotherapy, and most recently Pranic Psychic Self Defense. He spends the majority of his time traveling and teaching all over the world. UP Institute of Small Scale Industries, UP Diliman, Q.C. 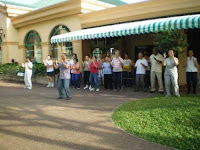 Still Mountain Tai Chi Kung Institute by Ed Sevilla is licensed under a Creative Commons Attribution-Noncommercial-No Derivative Works 3.0 License.